Since AzhwAr touched upon the incarnations of emperumAn in the previous pAsurams, he says in this pAsuram that celestial entities such as indhra et al should have saluted emperumAn when he incarnated as SrI rAma and krishNa, by continuously meditating on him. This would have removed their deficiency that they could not go to paramapadham [to see emperumAn]. kalandhu thozhAvE – will they not join together and worship him? 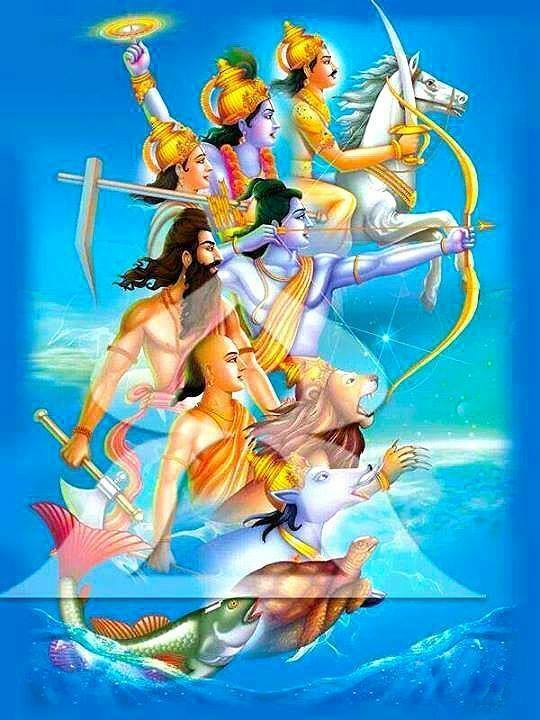 oru mUnRu pOdhum uranAl avan paranAdhal pAvipparAgil maram Ezhu anRu eydhAnaip puLLin vAy kINdAnaiyE amarar kaidhAn kalandhu thozhAvE – at an earlier point of time emperumAn had incarnated for the sake of celestial entities, as SrI rAma and carried out amazing activities such as shot down seven trees with a single arrow etc, and as krishNa and carried out amazing activities such as tearing the mouth of a demon, bakAsura, who came in the form of a stork etc. If these celestial entities such as brahmA, rudhra, indhra et al think of these activities through their minds, at all times, will their hands not worshsip emperumAn? AzhwAr feels sad that these celestial entities, due to their pride, think of emperumAn as one among themselves and are going the wrong way. This entry was posted in iyaRpA, periya thiruvandhAdhi on January 15, 2019 by T N Krishnan.